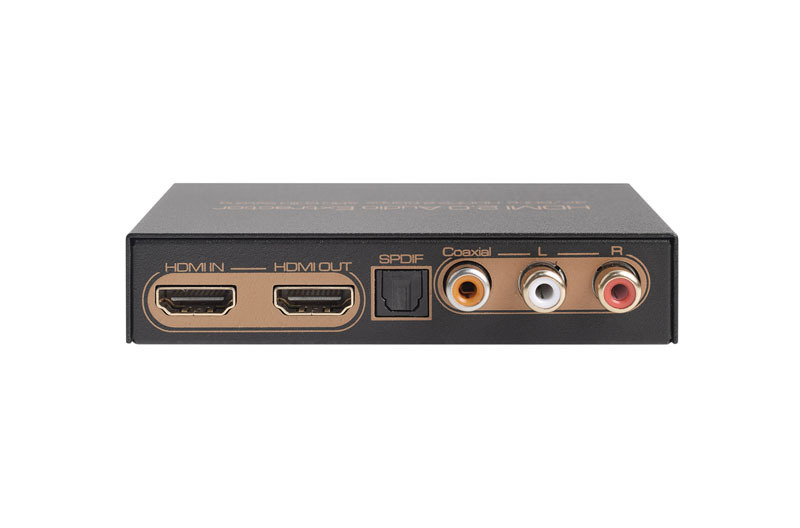 The HDMI Audio extractor can support 3D,HDR,4K*2K/60Hz,ARC function. It can connect one HD Source to one HD Display and support one Toslink digital audio out+one Coaxial Audio Out+one LR Analog Audio out. 9. LED indication: when source or sink is working, LED related will go bright. 10. Led Status Light allows the user to know the working status easily.